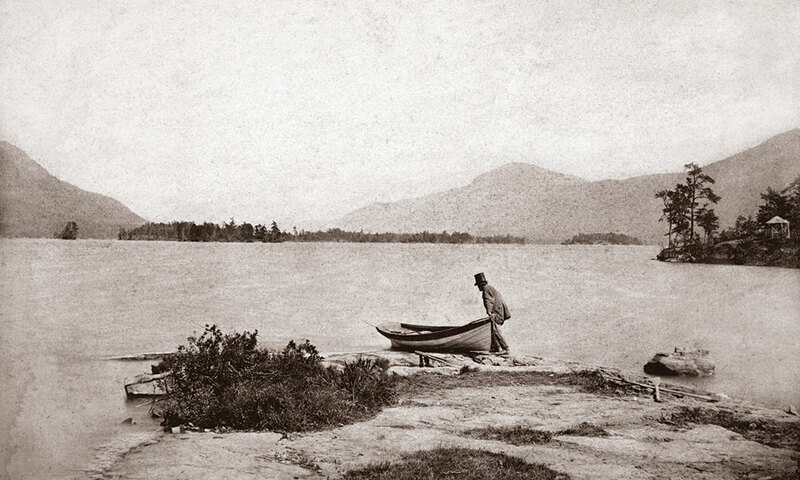 This 19th-century artist captured the Adirondacks and Lake George at its finest. I recall seeing a David Hockney work at The Metropolitan Museum of Art in New York City last winter, one of his composite Polaroid pieces, where a series of individual photographs, all taken from slightly different vantage points, are assembled to form a “complete” picture. 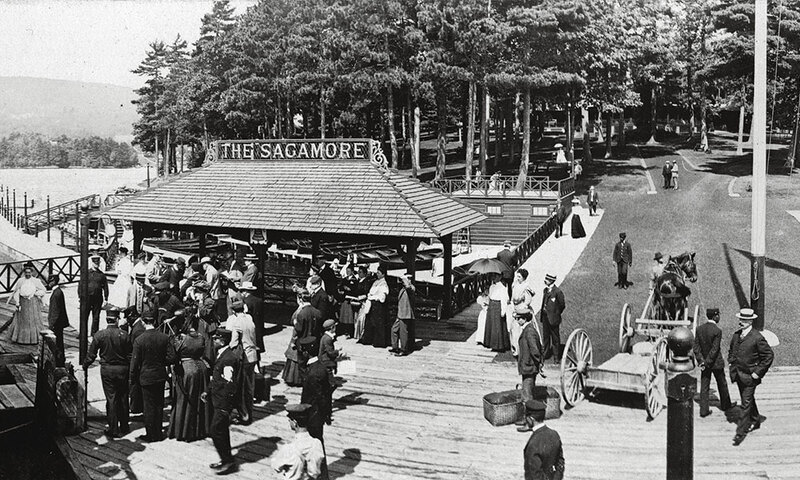 A century earlier, photographer Seneca Ray (S.R.) 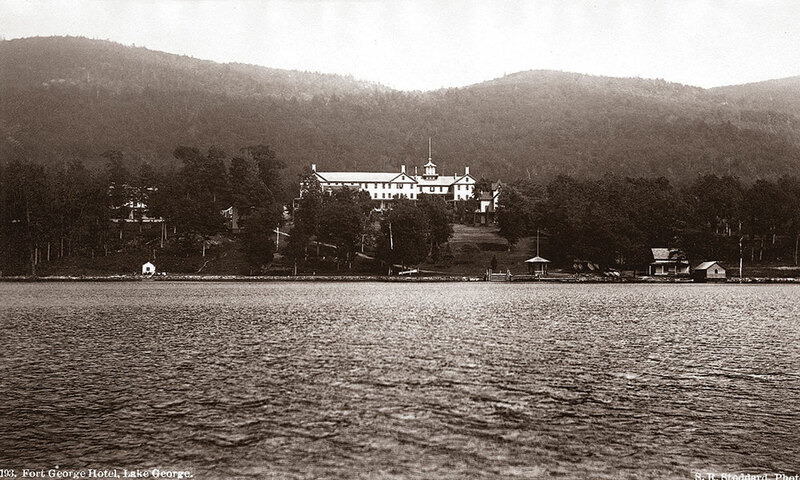 Stoddard was working the same type of magic in the Lake George region. 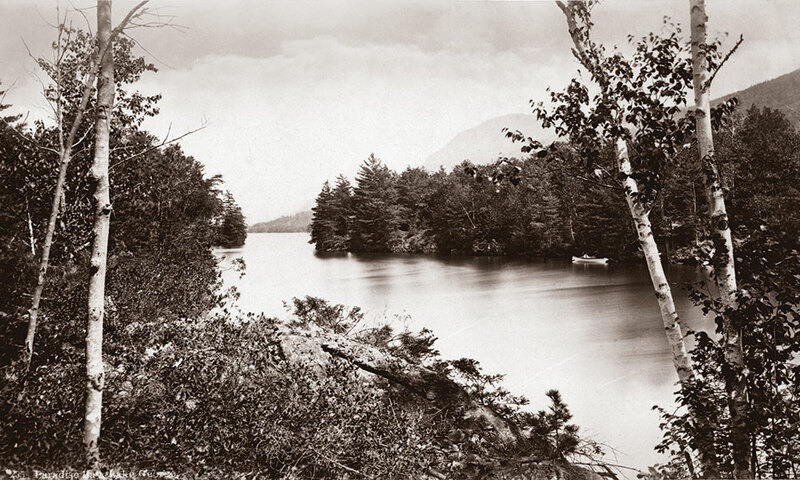 Stoddard’s photographs of “The Queen of American Lakes” and the Adirondacks are some of the finest ever taken—and a number of them are now collected in Water & Light: S.R. 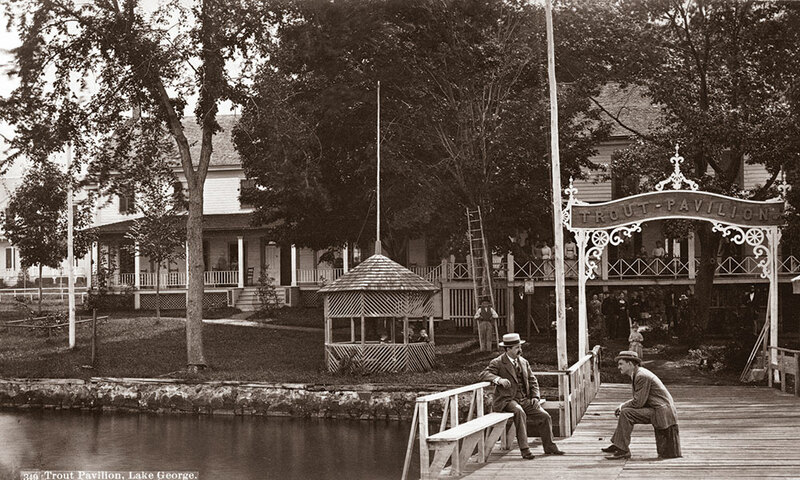 Stoddard’s Lake George (Chapman Historical Museum). 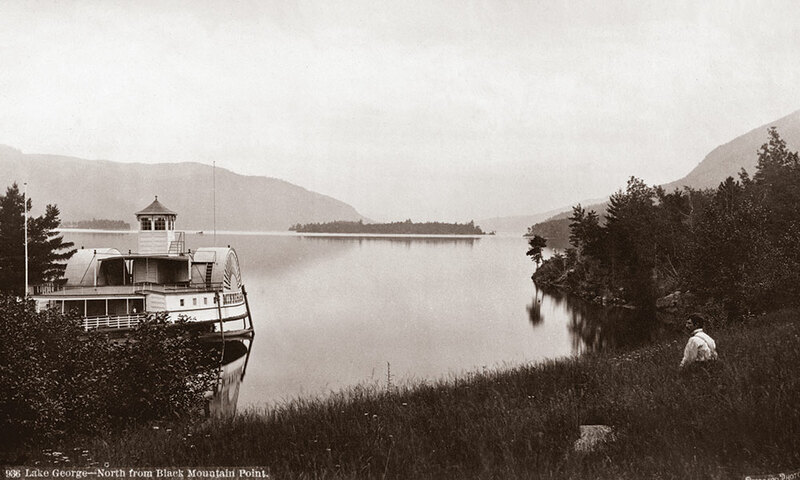 He took 10,000 photographs in the Adirondacks, including more than 700 shots of Lake George. 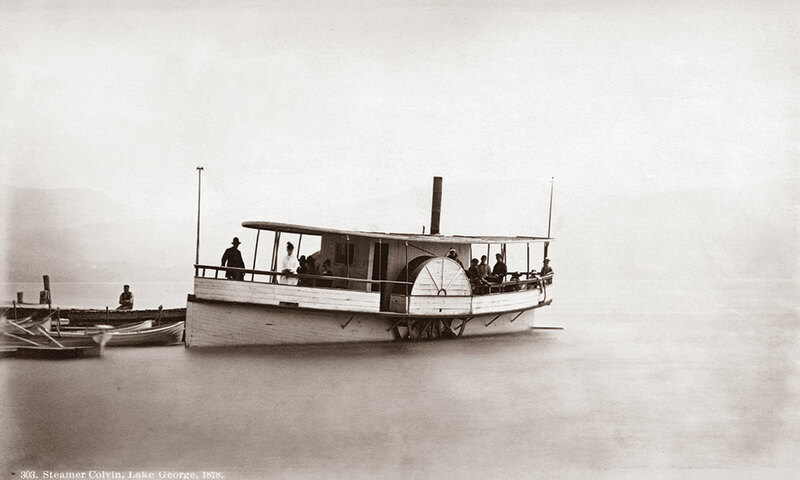 It’s a selection of 150 of those sepia-toned images, culled from the Chapman Historical Museum’s collection, that forms the heart of Water & Light. 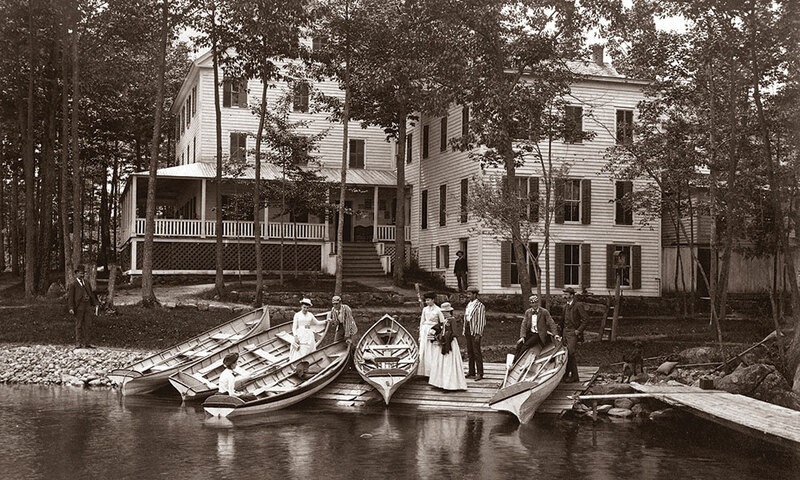 The book is organized as a pictorial tour of the lake from its head at Lake George Village (then Caldwell Village) northward, past Bolton Landing and through The Narrows, to Ticonderoga, where the waterway drains into Lake Champlain. Before Stoddard became a highly-sought-after photographer, he was earning his living painting decorative landscapes on the interiors of railway cars. 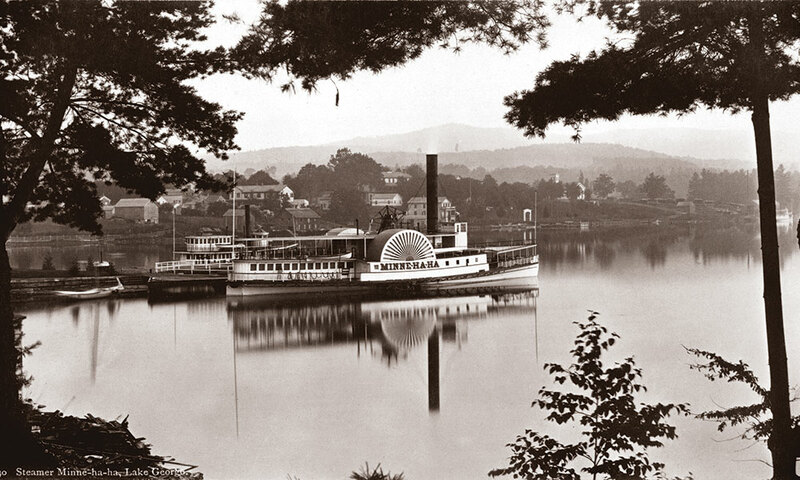 When he settled in Glens Falls in 1864, he opened his own business doing ornamental and sign painting—and spent his free time painting portraits and landscapes. 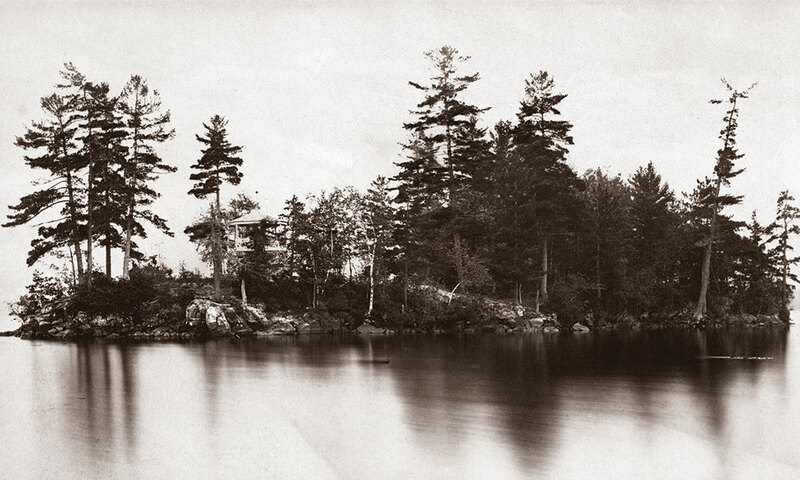 Stoddard would end up approaching his landscape photography with a painterly eye. 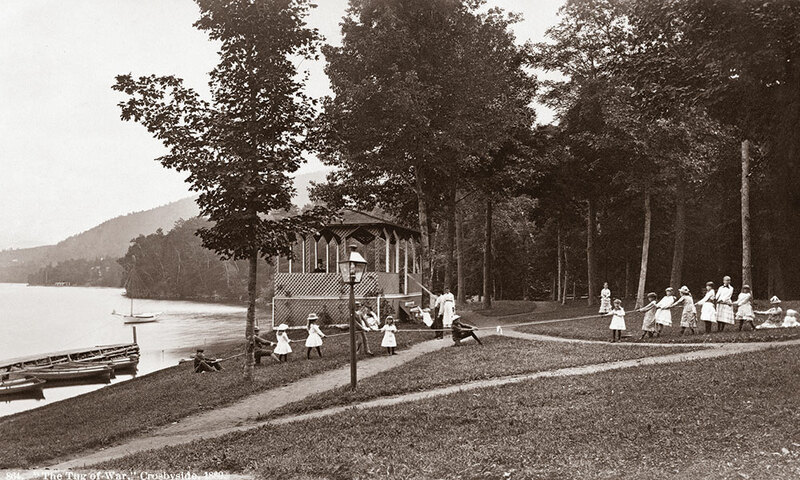 When taking photographs of a lake or falls, he’d use a longer exposure to render the surface of the water milky and luminous. 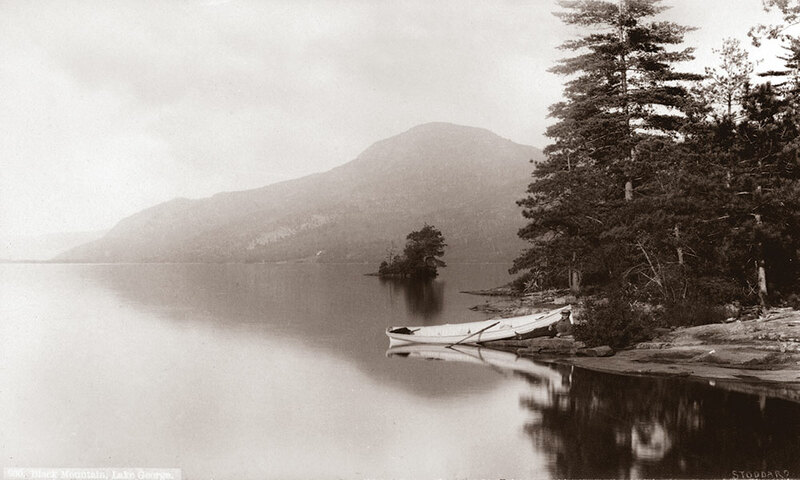 And when he made prints, Stoddard would sometimes combine different exposures to obtain a stronger image, for example, burning the clouds from one image into the clear sky of another to heighten drama. 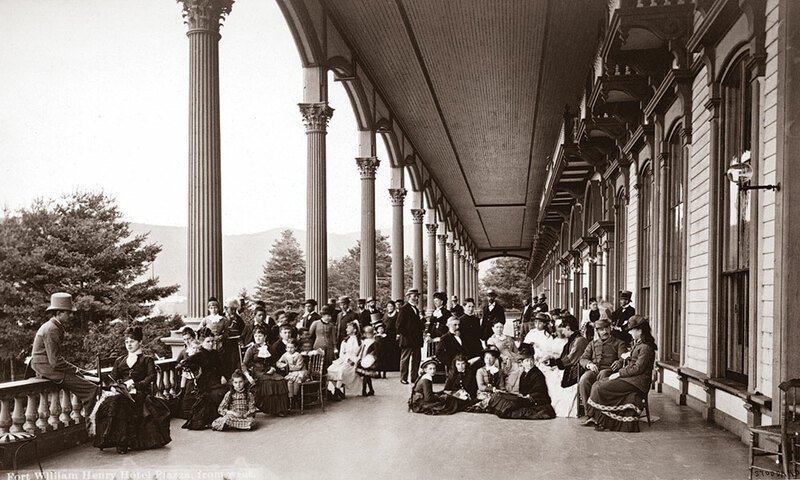 Though Stoddard exhibited work at Philadelphia’s “Centennial International Exhibition of 1876”—the first official World’s Fair—the artistry of his photographs went largely unrecognized during his lifetime. 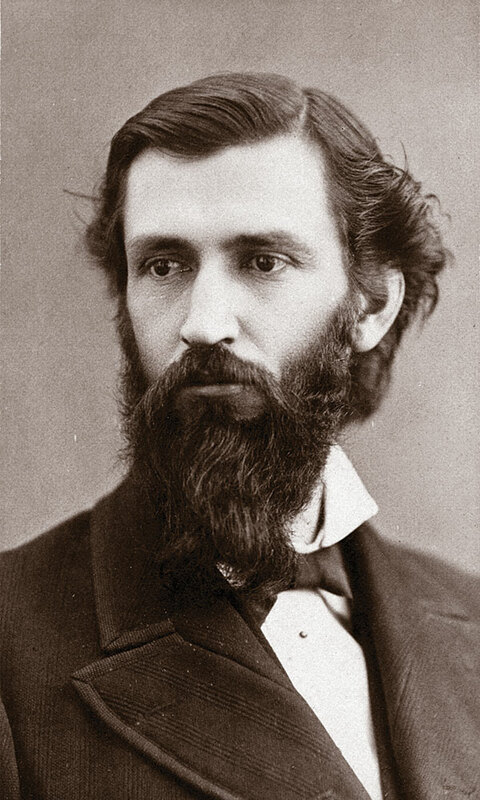 It wasn’t until 1980, when his work was prominently featured in “American Light: The Luminist Movement, 1850-1875” at the National Gallery of Art in Washington, DC, that Stoddard’s reputation as a fine artist was established. That it was ever in doubt should come as a surprise to anyone paging through Water & Light. 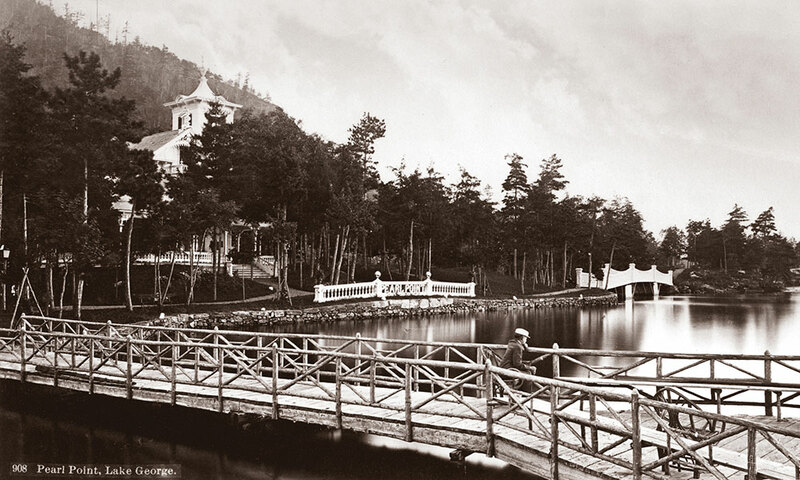 Though the scenes themselves can be described simply—views over the pristine glacial lake to the forested mountains beyond, shots of rocky coastlines and picturesque wooden bridges, steamboats and landings, ruined forts, staid hotels, rustic camps and people in Victorian dress fishing, canoeing, lounging in hammocks or engaging in a tug-of-war—the sum is considerably greater than the individual value of the parts. 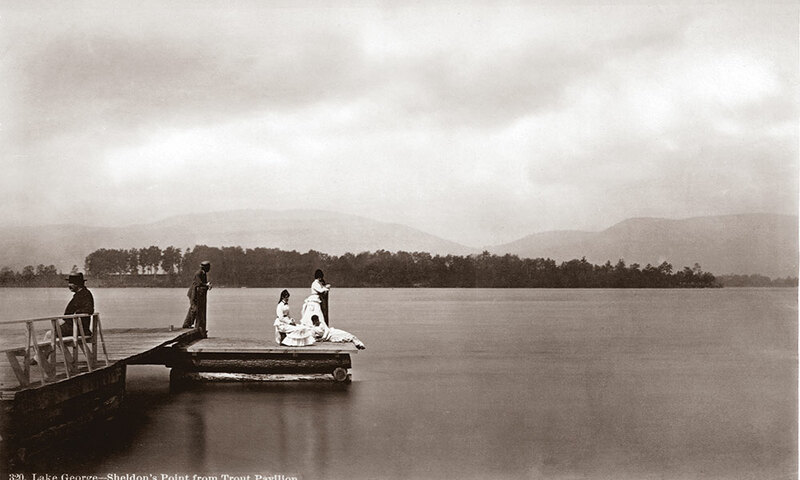 I can’t help but let Stoddard’s work whisk me away to a serene summer afternoon on Lake George. Won’t you join me?